Will Apple Delay The Galaxy S3 US Launch? 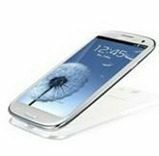 Apple is making a bold attempt to delay, and perhaps even deny, shoppers the ability to purchase the new Samsung Galaxy S3 from US carriers. The Galaxy S3 is currently available for preordering through Sprint, AT&T, and Verizon. US Cellular is set to open its preordering process on June 12. T-Mobile is not offering preordering at this time. Sprint, AT&T, Verizon and T-Mobile plan to release the phone into the hands of US shoppers on or about June 21. US Cellular plans to start shipping the phone to customers in July. But Apple is trying to put a stop to all the excitement over the new Samsung smartphone. On Tuesday, according to Foss Patents, Apple asked a US district court to put a freeze on US sales of the Samsung Galaxy S3. Apple claims that technology in the phone infringes on two Apple owned patents. The court has not ruled on the request yet. The Galaxy S3 is expected to be a major competitor to the yet-to-be launched Apple iPhone 5. There is growing speculation that Apple may release their next gen iPhone sometime soon. Perhaps even sometime this month. If Apple can simply get a delay on the Galaxy S3 launch, it may give them a bit of a competitive advantage. Of course, if they get an outright ban on the S3 it would be devastating to Samsung. Samsung would undoubtedly design a workaround or work something out. But that will take time and eat away at sales. A question comes to mind though… there are some estimates that global preorder sales of the Galaxy S3 have reached 9 million. No word yet on how many US preorders there are. But if Apple manages to throw a monkey wrench into the S3 rollout (which has already started in Europe), will S3 ‘wanna-be-owners’ become angry at Samsung, or Apple? Is Apple risking a black eye in the view of shoppers, whether they are right or wrong? Samsung said in a statement that they will “vigorously oppose” Apple’s motion and said the charge was “without merit.” The company says the launch of the Galaxy S3 will go on as scheduled. We’ll have to wait and see about that. Stay tuned. I thought apple was confident with there sales records. I did not know this is the way they get there sales in America. This country is made up of choices. If I choose to buy Samsung, let me buy Samsung. If I choose apple, let me buy apple. I am ultimately disappointed with apple. I choose this time around not to buy apple iPhone this tIme. I am saddened by apples choices to take such a low road to take a small market share from Samsung. Apple is running around scared witless. They know that Samsung is eating away at their share of the smartphone market. Currently they may beat out Samsung in 2 of 3 areas that they are currently working on ( Computers and Smartphones). The thought of them losing in both Internet Television and Smartphones must scare the **** out of apple and that is the reason for the delays, ban attempts, and fruitless lawsuits.